What was big on this day 10 years ago? 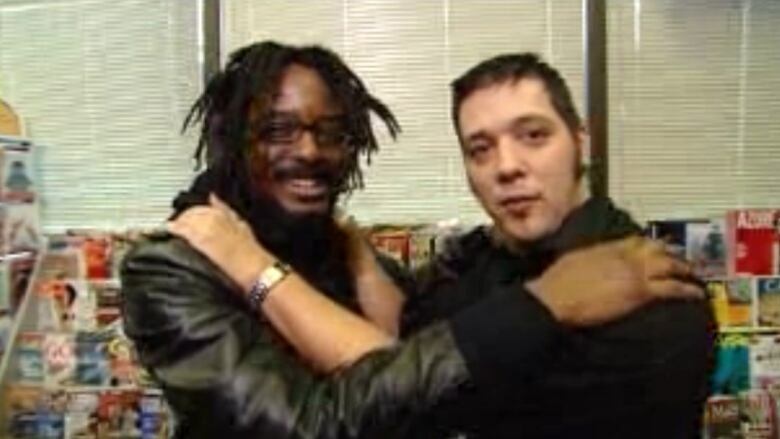 Find out in this CBC Archives throwback clip as George Stroumboulopoulos and k-os head to a newsstand (not Google) to take pop culture's pulse. Ten years ago today, 50 Cent was GQ's Man of the Year, not filing for bankruptcy, and Paris Hilton was still famous (for being famous) enough to be on the cover of every supermarket tabloid. But if you really want to see how much times have changed since January 2006, take a look at this throwback clip from The Hour with George Stroumboulopoulos. When this story was taped, the world's first tweet was still three months away, your mom wasn't allowed to join Facebook and a phone was still just a phone — albeit one capable of downloading Black Eyed Peas ringtones. So remember, on this day 10 years ago, George Stromboulopoulos had to take pop-culture's pulse the old-fashioned way, with a visit to the magazine stand. A Google search might have been more effective. And yes, people were using Google back then. But we wouldn't have this segment if The Hour had turned to the interwebs, and this clip happens to feature one of Canada's biggest artists of that year. Toronto MC k-os joins Strombo in the racks to scan the stories coming out of Time, National Geographic and The Source. A few months prior, he'd won three Junos for his album, Joyful Rebellion, finishing 2005 on top, but in this clip he and Strombo discuss some other headline-makers, including Bono, Bill Gates and George W. Bush. Visit CBC Archives for more throwbacks like this one.